End of terrace Georgian building for sale. 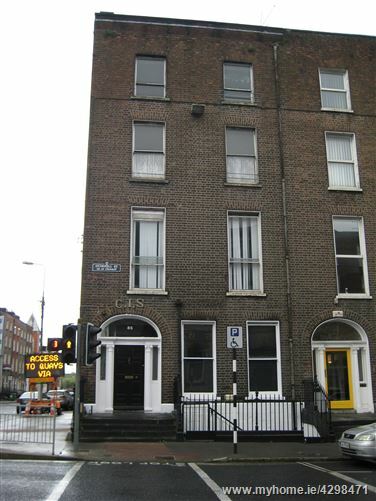 The property enjoys a prominent location on the corner of O'Connell Street and Mallow Street. Accommodation on ground floor, first floor, second floor, third floor, basement and mezzanine room. In need of renovation. Entrance door from O'Connell St & entrance door to upper floors from Lower Mallow St. Protected structure. Front room:-	7.037m x 5.485m approx. – 38.59 sq.m. approx. Rear room:-	4.402m x 4.377m approx. – 19.26 sq.m. approx. Back room:-	4.367m x 2.279m approx. – 9.95 sq.m. approx. Room:-	3.181m x 2.781m approx. – 8.84 sq.m. approx. Cubicle:-	2.786m x 0.978m approx. – 2.72 sq.m. approx. Front room:-	7.050m x 5.513m approx. – 38.86 sq.m. approx. Rear room:-	6.647m x 3.299m approx. – 21.92 sq.m. approx. Corridor:-	4.748m x 1.030m approx. – 4.89 sq.m. approx. Toilet:-	1.841m x 1.498m approx. – 2.757 sq.m. approx. Room:-	3.205m x 2.785m approx. – 8.92 sq.m. approx. Front room:-	5.529m x 2.931m approx. – 16.20sq.m. approx. Front room:-	5.540m x 3.987m approx. – 22.08 sq.m. approx. Middle room:-	2.756m x 2.102m approx. – 5.79 sq.m. approx. 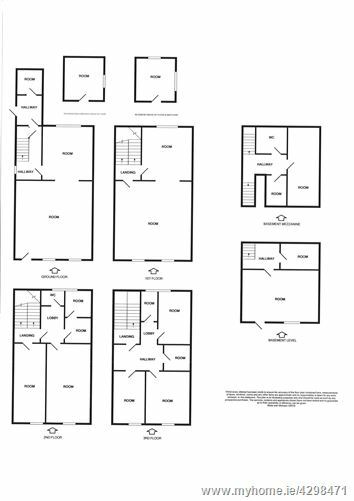 Rear room:-	4.563m x 2.764m approx. – 12.61 sq.m. approx. Lobby:-	3.130m x 1.521m approx. – 4.76 sq.m. approx. Bathroom:-	2.868m x 1.527m approx. – 4.37 sq.m. approx. Front room:-	5.502m x 2.796m approx. – 15.38 sq.m. approx. Front room:-	5.503m x 4.158m approx. – 22.88 sq.m. approx. Middle room:-	2.668m x 2.002m approx. – 5.34 sq.m. approx. Rear room:-	4.612m x 2.757m approx. – 12.71 sq.m. approx. Bathroom:-	3.050m x 1.567m approx. – 4.77 sq.m. approx. Front room:-	6.275m x 5.185m approx. – 32.53 sq.m. approx. Rear room:-	4.093m x 2.537m approx. – 10.382 sq.m. approx. Room 1:-	2.656m x 1.984m approx. – 5.269 sq.m. approx. Room 2:-	6.547m x 2.033m approx. – 13.310 sq.m. approx. Bathroom:-	2.875m x 1.992m approx. - 5.727sq.m. approx. As one travels from Limerick city centre towards Cork/Kerry, premises are located on right side at junction of O’Connell Street with Lower Mallow Street, Limerick. All essential amenities and services are in the immediate vicinity.